Image credit: SAID-ACCESO / Fintrac Inc. 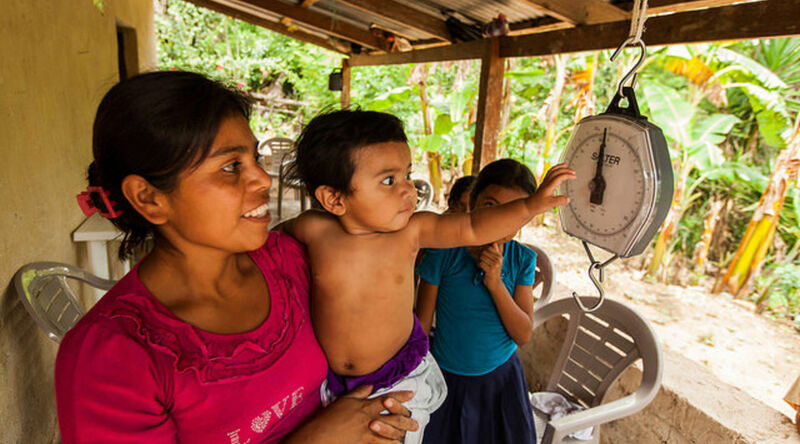 In Honduras, cash transfers help families access health services but don’t improve health. For Hondurans living in extreme poverty, survival can be a daily challenge. In the country’s poor rural western region, food is scarce and often insufficient to share among family members, forcing many children to live with chronic malnutrition. Many parents put their sons to work in the coffee fields. Their daughters marry young and give birth early, contributing to high fertility rates and completing the cycle of poverty. Far from cities and high-quality health services, and lacking modern infrastructure, electricity, and improved sanitation, the daily toil and deprivation are difficult to escape. In 1990, facing deep poverty in the country’s rural regions, the Honduran government began experimenting with cash transfers for social protection. That year, Honduras introduced the first iteration of its Programa de Asignación Familiar (“Family Allowance Program”) or PRAF-I, aiming to compensate the poorest families for losses incurred under structural adjustment policies. However, by the late 1990s, it had become clear that the program was not fulfilling its potential due to a lack of targeting and a lack of enforcement of the conditions for receiving a voucher, among other reasons. When PRAF-I failed to make a dent in overall poverty, the Inter-American Development Bank (IDB) theorized a new approach was needed—one that explicitly focused on increasing human capital among the poorest Hondurans, with clear metrics for success and a sound strategy to evaluate whether it was achieving its objectives.source In 1998, the IDB negotiated a $45 million loan to Honduras to help initiative a new version of the program called PRAF-II. The sources of PRAF-II disappointment are manifold, but the small transfer size, the possible creation of a perverse incentive, and weak institutional capacity deserve much of the blame. The PRAF experience shows how cash transfers can lead to unintended consequences, mainly related to poor design choices. Regular monitoring of program implementation is critical to avoid pitfalls and identify adverse effects early, so that program design can be modified and corrected. The Honduran story is one of learning while doing and constant iteration over two decades—while still achieving mixed results.